William J. Berger is a Senior Trial and Appellate Attorney with the firm. 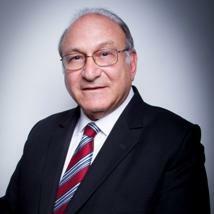 He has practiced trial and appellate law since 1975, and he served as an elected Circuit Judge for Palm Beach County. As a Judge, Bill was assigned to the Civil, Criminal and Family Divisions of the Circuit Court. He presided over hundreds of trials. He also was invited to serve as an Associate Judge on the Fourth District Court of Appeal, where he authored several opinions for the Court. During his tenure on the bench, Bill was designated Administrative Judge of the South County Courthouse. He also was appointed by then-Chief Justice Fred Lewis to serve on the Florida Supreme Court's Commission of Judicial Evaluations. As a practicing attorney, Bill has tried dozens of jury trials, many more non-jury trials and argued dozens of appeals. His practice includes trials and appeals in the areas of commercial law, family, business, trusts and estates, land use, partnership, employment discrimination, personal injury, real estate, mortgage foreclosure, criminal, and complex civil litigation.